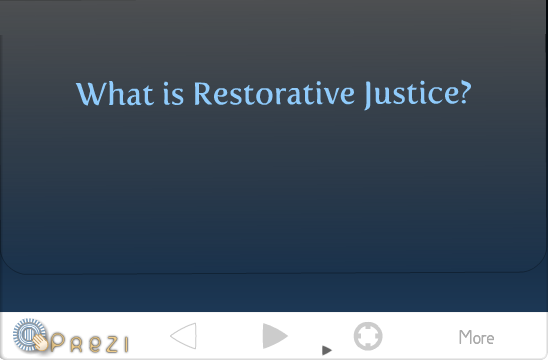 The nonprofit organization, Foresee Research Group, received the 2018 European Forum for Restorative Justice (EFRJ) award for outstanding contributions. Borbála Fellegi participated as a trainer in the 30-hour training organized by the Penal Institue of Heves County in May 2012. The three-day-long training saw altogether 10 participants. Six of them were disciplinarians from the Penal Institue of Heves County and four came from the Balassagyarmat Prison. The 600 participants discussed existing and new alternative methodologies for crime prevention and control. Leading academics, criminologists and practitioners from around the world came together to share their recent research. Independent Academic Research Studies (IARS) and the Restorative Justice Council are pleased to invite you to a joint half-day seminar titled Restorative justice in Europe: What can it do for young people? The Congress theme will be centred on Restorative Justice, bringing together national and foreign speakers of recognized merit and experience. Dr. Barabás Andrea and Dr. Windt Szandra represented the MEREPS project demonstrating the progress and results of the RJ in prison settings program.